Cameroun J34-J49a pairs, lightly hinged is J34-35a, ather MNH. Michel P35-P50. 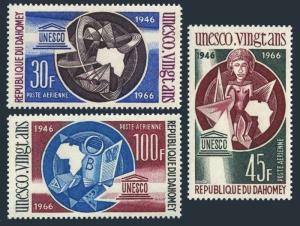 Due stamps 1963. Flowers. Hibiscus, Erythrina, Plumeria lutea, Ipomoea, Hoodia gordonii, Crinum, Ochna, Gloriosa, Costus spectabilis, Bougainvillea spectabilis, Delonix regia, Haemanthus, Opthalmophyllum, Titanopsis, Amorphophallus, Zingiberacee. $0.05 shipping for each additional eligible item you buy . For domestic purchases up to $60.00 first class mail will be used; purchases above $60.00 require mail with tracking number or insured mail (buyer pays the mail fee). For international purchases up to $60.00 first class international airmail will be used; purchases over $60.00 require mail with tracking number (registered mail, buyer pays the $19.00 or $20.00 for oversize item). Warning for the buyers from Eastern European countries, Russia, China, Middle East, South Asia, Latin America, Africa exclude RSA, and the buyers with Hip ID less 100: the purchases over $30.00 require expedited mail. 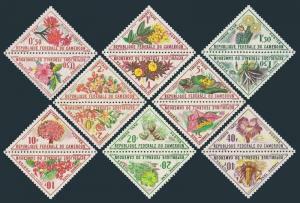 Russia 2595 imperf,MNH.Michel 2610B. 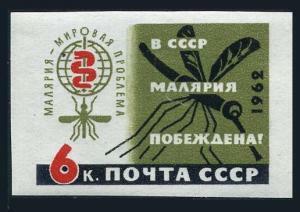 WHO drive to eradicate Malaria,1962. 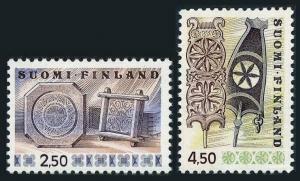 Finland 569-569,MNH.Michel 781-782. Cheese frames,Carved wooden distaffs,1976.